The tournament, which began Friday night, features 32 teams, each representing an NCAA Division I conference. The players have all recently exhausted their college eligibility. Each game is broadcast live on the 3X3U Twitter page. The Big Sky faces the Ivy League on Saturday at 10:10 a.m., followed by a game against the Big Ten team at 3 p.m. Hunt’s team won its opener Friday, beating the Horizon League 22-15. The previous time Hunt saw Better, he and the Eagles knocked Southern Utah out of the Big Sky Tournament in Boise last month. A week before that win, Hunt handed Chapman and Weber State a senior night loss in Ogden, Utah. Graves helped hand Hunt his only career loss to Sacramento State in late February. The group went to the Slam Dunk & 3-Point Championships on Thursday to watch former Northern Colorado star Jordan Davis in the dunk contest. Hunt hopes to play professionally in either Australia or Europe. 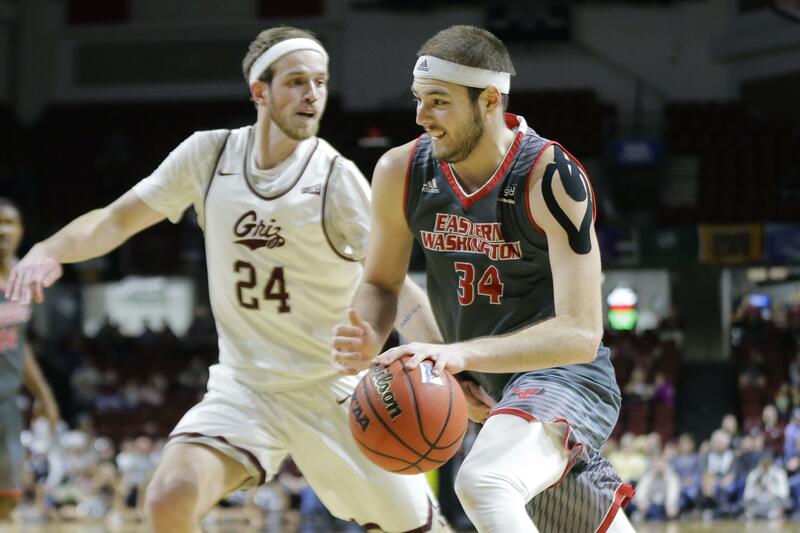 He plans to workout with former EWU stars Jacob Wiley and Bogdan Bliznyuk – both playing overseas – this summer in Seattle. Playing by FIBA rules, the games are 10 minutes long but are continuously moving, featuring a 12-second shot clock with no breaks between buckets. Hunt went to school miles down the road from the world’s biggest 3-on-3 tournament, Spokane’s Hoopfest, for the past four years, but has yet to play. He’s considering playing in the elite division this June. Two weeks after playing in the NCAA Tournament, former Washington guard Dominic Green is on the Pac-12’s 3X3U team. Published: April 5, 2019, 5:13 p.m. Updated: April 5, 2019, 9:38 p.m.